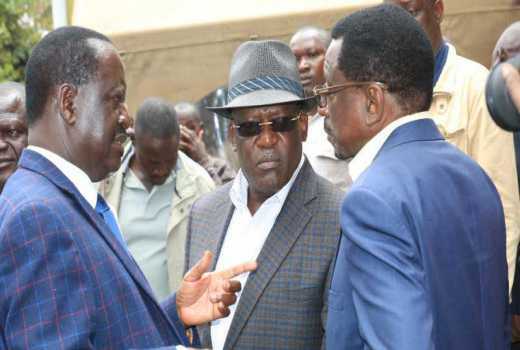 Siaya Senator James Orengo has said plans to swear in NASA leaders Raila Odinga and Kalonzo Musyoka are complete. 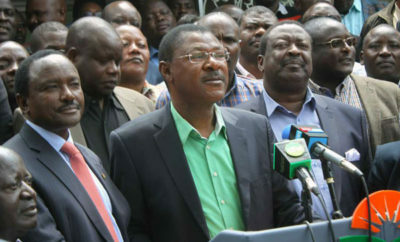 Orengo said they were determined to see Raila take the country’s top leadership. 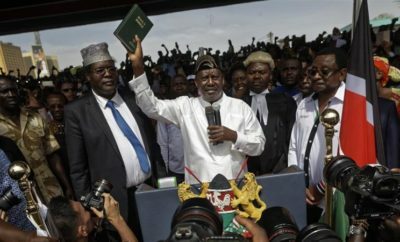 He urged Opposition supporters not to despair over delays in swearing in Raila as the ‘people’s president’, saying nothing was lost. 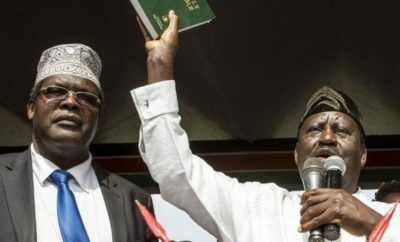 “Raila will be sworn in and those who think he will not are dreaming. This is the year of change in Kenya and that change will be realised when Raila takes oath of office as the President of Kenya,” said Orengo. This came after Raila told his supporters he would release a timetable for resumption of mass action and civil disobedience against the Jubilee government. He said he would list more products to be boycotted to make the country ungovernable and force President Kenyatta into talks on ‘electoral injustices’.